Perhaps I was influenced by Corinne’s and Lilly’s reviews of this book. Perhaps if I hadn’t read those, I would still have had the same reaction to the book. As it was, I couldn’t make it even 50 pages into it. 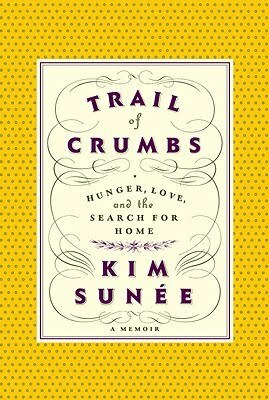 Many of Corinne’s and Lilly’s complaints are mine: Kim Sunee is unsympathetic, she tells more than shows, she’s not even very good — for a food memoir — at describing the smells, tastes, and feel of the food she’s cooking, eating or enjoying. Honestly, I skipped around, read the ending, and chalked it up to me being much less hip, much less interested in self-discovery than the book wants from me. There are better food memoirs out there, and better ways to spend my time. I wasn't super in this one to begin with, but after reading what Andi and Corinne (and now you!) had to say I decided to give this one a miss. Okay, glad to find out I'm not crazy. I may do what you did and just cut to the chase. I read enough negative reviews a couple of months ago that I decided not to bother with this one. You're all confirming my decision. I don't like it when a book with so much potential is so disappointing. I started this one, but it never grabbed me. And after what you've said, and Lilly's review, I don't think I'll be picking it back up.